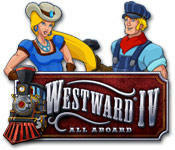 Westward IV: All Aboard is another entry in Sandlot's series of city simulations with a western setting. The game uses the same 3D engine introduced in the second game, where the player can zoom in and out of the scenery with the mouse wheel or a button. The protagonists are Henry and Anne Turner, the daughter and son of a missing railroad owner searching for their father while expanding the family business. One of them can be selected as the main character at the start of a new campaign. 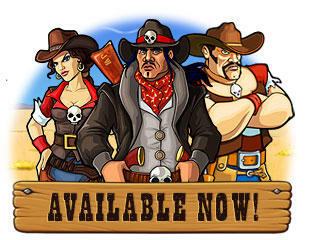 After choosing one of the siblings, the other one keeps appearing mostly as a non-playable character on missions throughout the duration of the game. 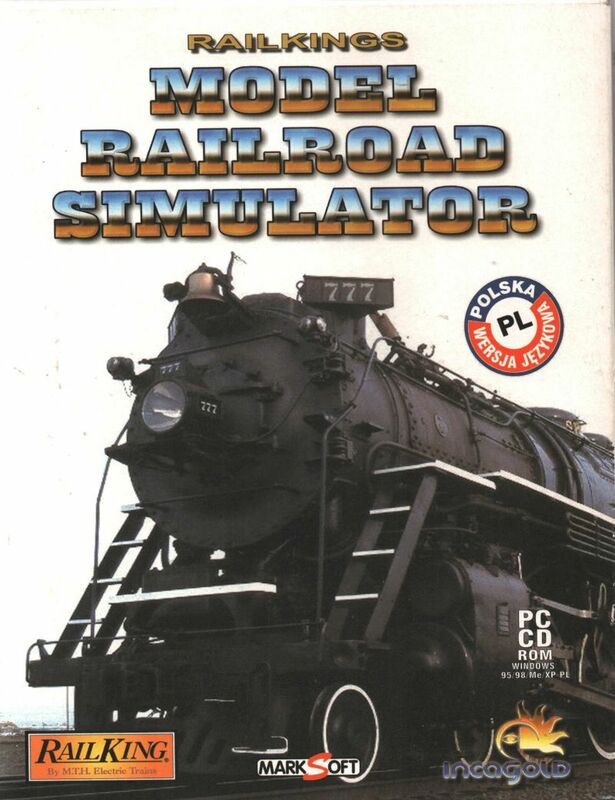 The theme of this installment is railroads, and one of the central objectives of most missions is to build tracks to connect distant cities. 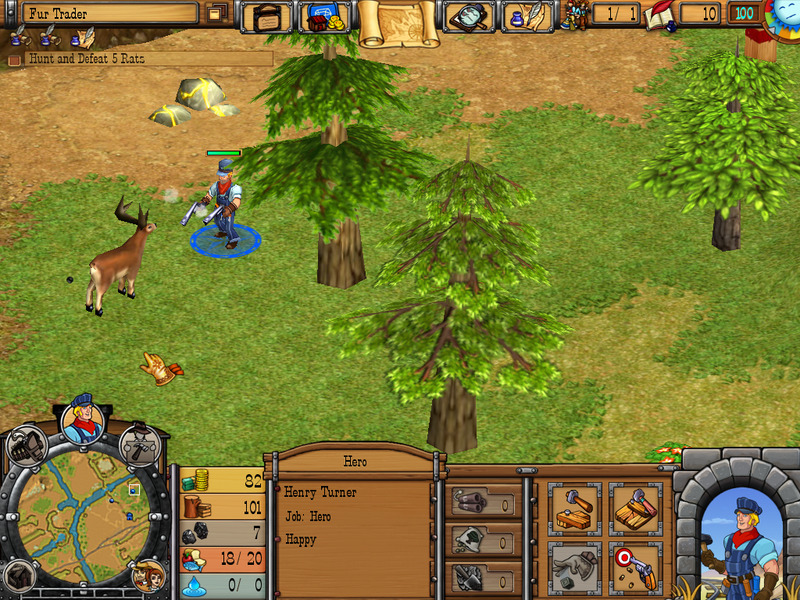 The player controls the characters and the hero directly, by clicking on them and a waypoint on the terrain. Alternatively, it's possible to drag a line from the characters to any spot. People appear spontaneously to live on the city once housing becomes available, but also leave in anger if they stay homeless for long periods of time. The citizens can be ordered to collect any resource laying around, with some of it being stored directly like the gold nuggets, food and other essential resources. When selecting a log or a fruit bush, the workers start to chop wood for timber or harvest berries. 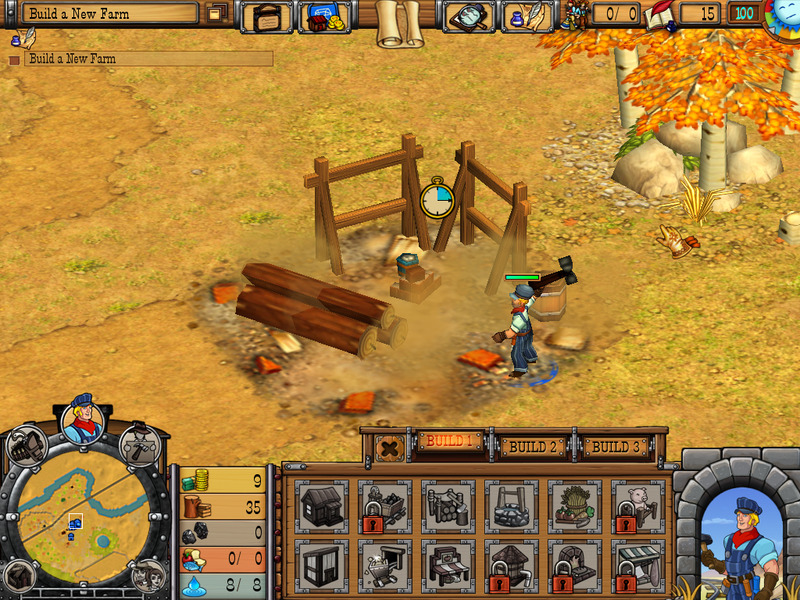 The five basic resources are gold, timber, coal, food and water, whose quantities are always displayed at the bottom of the screen. Gold have to be spent upgrades and new blueprints on the shop screen. Wood is used in the construction of new buildings. Coal powers the train that transports resources between cities. Water and food are consumed by workers while doing their jobs. New buildings can be selected from the construction menu to be deployed on the terrain, where they can be moved around until a suitable spot is found to start the building process. The mines can only be erected over gold veins and coal deposits. 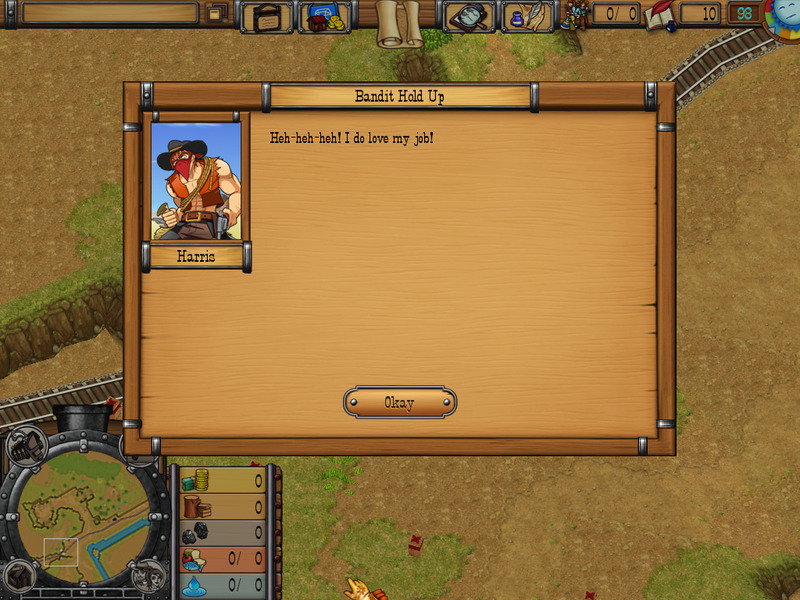 Most citizens have to be employed on the buildings to become farmers, miners, ranchers, bakers, lumberjacks or other professions, with the exception of gunslingers and the hero character. 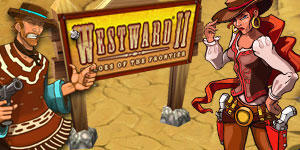 Combat can only be negotiated by the main character and the hired guns, where they have to shoot their weapons on close firefights against enemy desperados to protect the city. Dynamite can be used to explode certain obstacles, and irrigation tools have to used on desert ground to make it suitable for construction. 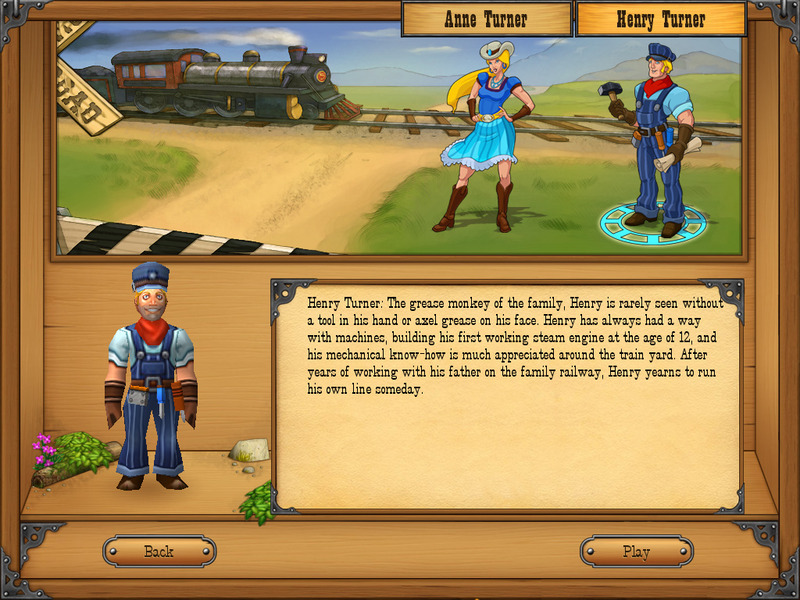 In the main campaign, the hero character keeps traveling by train to the interrupted sections of the railroad, where new tracks have to be built to connect and travel to the next city. As before, sidequests are added to the main objectives after meeting new characters and situations on each scenario. The sandbox mode becomes available from the main menu after completing some missions, where the city can be expanded without any set of objectives or plot development.